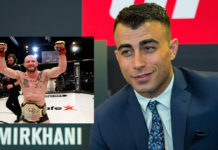 Makwan Amirkhani is still on the crazy ride that started with his 8 second stoppage of Andy Ogle in front of 35,000+ fans at the Tele2 Arena. “I got over 10,000 messages from around the world” says the Finnish based fighter that has now moved to Sweden. 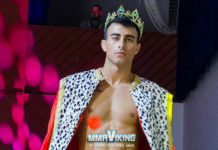 “It’s the first time in my life I feel like a celebrity.” comments Amirkhani to MMAViking.com at last weekend’s CAGE event. “Mr. 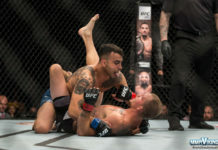 Finland” talks about the arrival of the bed for his mother that he was set to buy after winning his $50,000 bonus for his UFC debut performance before a local company stepped up and donated a handcrafted one. 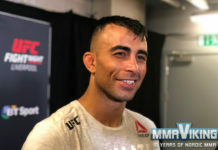 “I’m from Iran, but I’m Kurdish” clarifies the fighter that flew the Finnish flag after his Octagon victory. 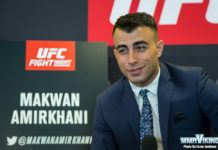 “Every time I go to eat pizza or kabab they say I don’t have to pay.” laughs Amirkhani about his newfound status. “I think they announce it very soon” says the featherweight about his next bout in the UFC. “I think it will be under one minute to keep the hype.” for the fighter that now trains at Allstars Training Center in Stockholm. 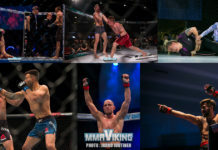 Check out the full interview with MMAViking.com below, which includes a crazy Aleksi Nurminen fan in a bear costume.